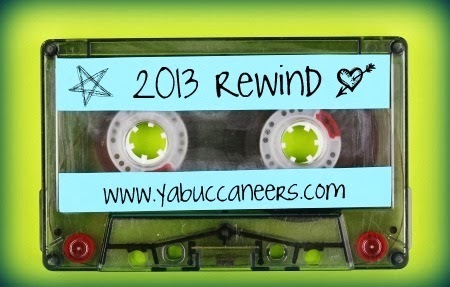 Today over at YA Buccaneers, I'm revealing our top reads of 2013. Join the fun! Visit the blogs of the YAB lassies for their personal Top 10 Reads as well as playlists for the year. This was a roller coaster of a year in a number of ways, and my reading habits were, as usual, totally inconsistent. I upped my Goodreads 2013 Reading Challenge goal to 75 and didn't make it - but I did read a handful of books more than I did on my 2012 goal of 52. I read a lot of duds, a lot of books that were widely hyped but felt so-so, and a lot of amazing, beautiful, heartbreaking, funny, wonderful books. It was hard to narrow it down to 10, and even harder to choose which book would top the list. 8. MOONGLASS by Jessi Kirby - A story interwoven with grief and family history and a gorgeous yet haunting setting - its own important character. 7. HOW TO MAKE A BIRD by Martine Murray - I almost gave up on this book as it had a bit of a slow start. I'm so glad I stuck with it - such a beautiful, aching story, lovely language and imagery. My favorite kind of book: family, loss, heartbreak, hope. 6. HOW TO LOVE by Katie Cotugno - I wish more books had genuine, flawed characters like this one. 5. THE CAGED GRAVES by Dianne Salerni - I couldn't put this post-Civil War historical YA down. Loved the setting and the mystery. 4. AMY & ROGER'S EPIC DETOUR by Morgan Matson - Perfect. Just perfect. I liked it even more than SECOND CHANCE SUMMER. 2. 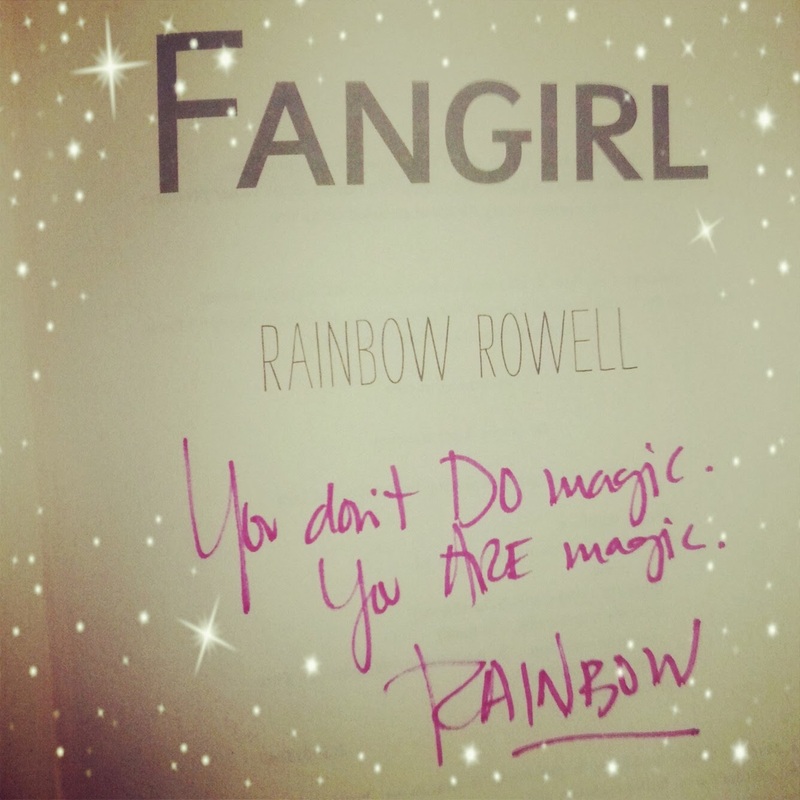 (tie) The Rainbow Rowell Experience - ELEANOR & PARK, ATTACHMENTS, and FANGIRL. This author very quickly became one of my all-time favorites. E&P - such stunning prose; such genuine, hurting, flawed, beautiful characters with important stories to tell. Oh, my heart. 2. (tie) The Ruby Red Experience - RUBY RED, SAPPHIRE BLUE (both re-reads), and the MUCH anticipated EMERALD GREEN by Kiersten Gier. What? You haven't heard me gushing about these books yet? You must read my love letter here. 1. 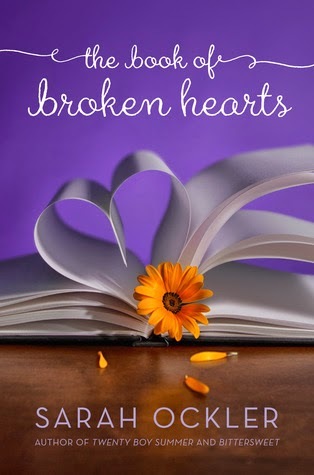 THE BOOK OF BROKEN HEARTS by Sarah Ockler- Much of what made THE BOOK OF BROKEN HEARTS by Sarah Ockler my top pick of 2013 was from personal connection - the relationship between Jude and her much older sisters, a father with a debilitating illness, mention of the Beatles and Van Halen. My heart ached as I traveled with Jude through this difficult time in her life and I identified with her and her experience in a lot of ways. The prose is lovely, the story compelling, the romance genuine. This book broke my heart a little bit. What was your absolute favorite Top Read of 2013? Thanks for putting together this great idea, Sara!! I can't tell you how much I'm enjoying hopping from blog to blog to see what everyone has read and listened to this year. The playlists are a revelation to me. How come I haven't heard SO many of these fantastic songs people have included??? I'm spending too much time listening....but I'm hoping it'll inspire my writing today. I'm right there with you on the Rainbow Rowell Experience. Where did this woman come from and how come she's been infused with so much talent????? Love her stuff and can't wait for LANDLINE. You have such great books on your list! And I loved your playlist too. And last but not least, thanks for introducing me to Grooveshark. Now I will probably be annoying with how many playlists I post. I've heard so many good things about THE BOOK OF BROKEN HEARTS - looking forward to reading it in 2014! 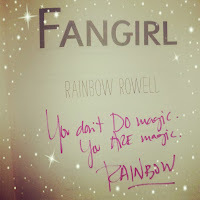 I also had the Rainbow Rowell experience on my list. I haven't read ATTACHMENTS yet but definitely want to because I love her writing! Thanks for putting together the post over at YAB!